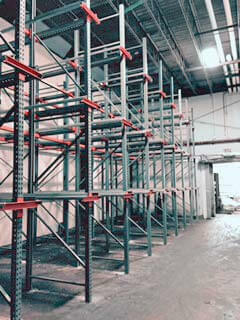 SJF’s multiple Quick-Ship locations provide clients easy access to 72-hour shipping on structural cantilever racks. This product historically requires 8 to 12 week wait times. 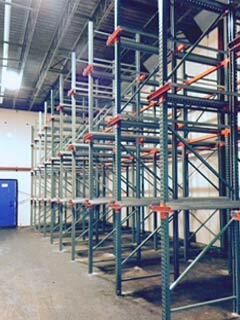 SJF now offers clients 72-hour Quick-Ship of structural cantilever racks nationwide. Winsted, MN (PRWEB) September 30, 2017 – SJF Material Handling Inc., in cooperation with US manufacturing partner Ross Technologies, announced the opening of its Pennsylvania stocking quick ship location for its full line of cantilever storage rack products. In addition to providing “72-Hour Quick-Ship” availability on its most popular sizes and capacities of cantilever racks, several new products & design enhancements to other storage products are currently in production and expected for release this fall. In Jan. 2017, SJF Material Handling, Winsted, MN announced a strategic partnership with USA Manufacturer Ross Technologies as the companies preferred manufacturer of its structural steel storage rack products. 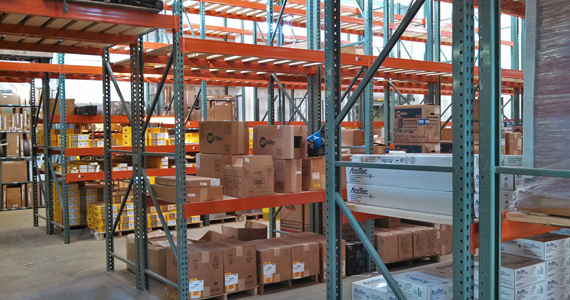 SJF stocks and distributes a wide variety of storage rack products sold through its online e-store and brick & mortar retail locations. 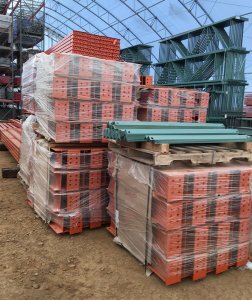 This newest SJF offering of structural cantilever rack products has quickly gained national acclaim as a premier storage solution. Cantilever racks are ideal for storing items inherently too long, bulky or lightweight to store using conventional warehouse racks or shelving. SJF’s latest offering of heavy duty structural cantilever racks is ideal for storing everything from lumber & steel to boats, autos, pipe, coils and more. According to SJF President Stafford Sterner, the company’s newest offerings of rack storage solutions provide its clients all the benefits of traditional warehouse storage rack systems without many of the drawbacks & limitations traditionally associated with these older legacy storage systems. One of the initial challenges was the ability to offer our clients a heavy-duty cantilever storage rack solution that was engineered and manufactured in the USA and would meet and exceed the most stringent requirements for strength and durability. 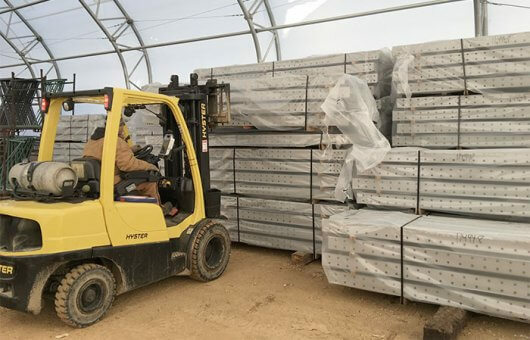 Working with USA manufacturers, SJF provides clients a quality cantilever rack product that can now be shipped anywhere in the USA in a matter of hours vs. weeks or months. SJF’s structural cantilever racks are flexible, allowing storage of several sizes of material within the same rack system yet versatile enough to carry a wide array of loads. Several new design enhancements have been incorporated in the manufacturing process eliminating any positioning issues. According to Sterner, the latest design enhancements have taken an excellent product and made it even better. With the addition of providing 72-hour quick-ship on an extensive offering of sizes and capacities, we can provide our clients with a product and service you won’t find anywhere else in the industry. Initial feedback from clients has been very positive. Users find the “quick-ship” delivery an incredible value. Find out more and see detailed photos, videos and product information about cantilever rack at SJF Material Handling’s website. SJF Material Handling, partnering with David Weidenfeller at Interlake Mecalux and Mike Pemrick at Lock N Load Installations, replaced an older pre-existing drive-in system at Triple J Family Farms. Despite working in a cooler, the Lock N Load crew was able to complete the job within a day. Jason Deiter, sales professional at SJF can be reached at 320.485.4961 directly, or at jdeiter@sjf.com.